In one of my first posts on this blog, I copied an Investors Business Daily article, capturing Obama’s campaign promises. See it here. I decided to do find the same for Trump. The BBC did a recent article. See it here. 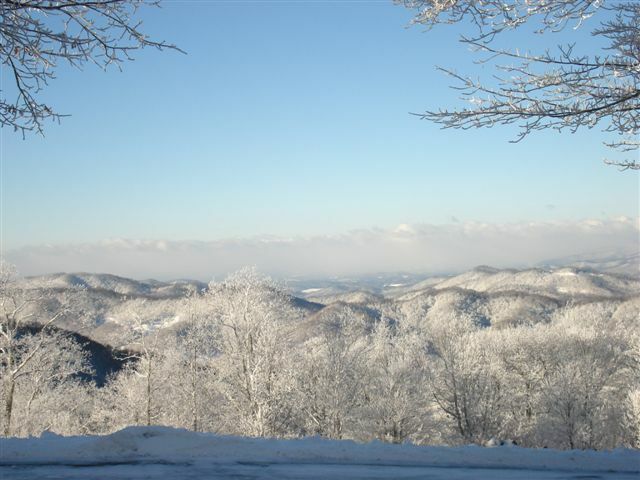 North Carolina Mountains in snow! Morning with breakfast at the Hampton Inn in Sanford. Good hotel, but A/C problems had the temp in the room going up and down all night. Tough sleeping, but after 100 miles yesterday, I think I did better than I thought! We are almost ready to depart the hotel, headed toward Raven Rock State Park, and a rendezvous with Pepper, who is headed from Kingsport to take my place on tthe ride. The weather is another absolutely perfect Chamber of Commerce day, with forecast highs in the mid 70s, and low humidity. Today was a tremendous day - 6200 feet of vertical ascent through the Uwarrie Mountains, 97 miles, and over 6500 calories burned. The day could not have been better, with 70 degree weather, sunny skies, and some of the prettiest NC farm country I have seen. The rolling Uwarrie Mountains are more difficult than last year's century day, near White Lake, but we managed well. Everyone rolled into the Hampton Inn feeling like we could have done a few more miles. Dinner was at Bella's in downtown Sanford, a town built on the brick industry. Earlier in the ride, we rode through Seagrove, NC, home of North Carolina's pottery industry. Wonderful earthen pottery with over 100 pottery artisans clustered around an ancient clay deposit.